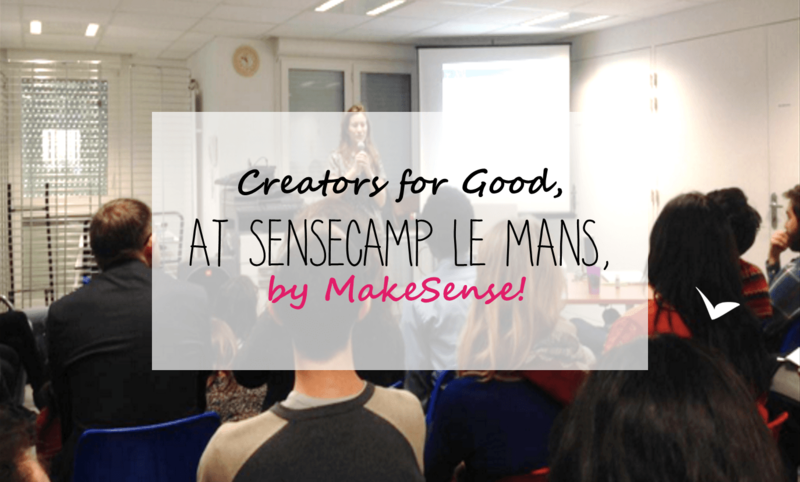 Creators for Good at SenseCamp le Mans, by MakeSense! 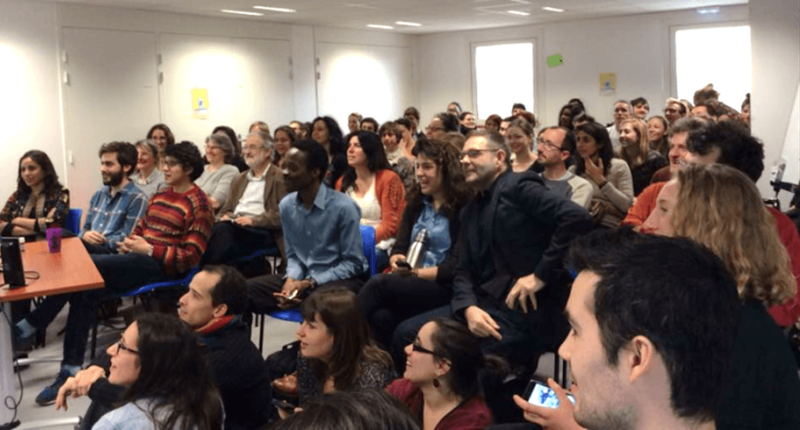 In February 2016, I was invited by the global organization MakeSense to give a talk at their 2 days event: “SenseCamp Le Mans”. It was a fantastic experience, for many reasons. Here’s the summary of my experience! First of all, about Le Mans. MakeSense had organized few SenseCamp (=2 days conference/event) in Berlin, Paris, Bruxelles, Mexico… but never in a non-capital city. This was a “first time” for a city that size (150 000 inhabitants) to host a global event on Social Innovation. What a proof that social entrepreneurship is going mainstream!!! I had been invited to share my experience by a guy named Pierre… who I met from the very first time in real life! After 1 year and a half of Facebook connection ;) Internet is really changing how we connect and collaborate with like-minded (yet strangers) from different countries! I was asked to talk about “fear”. So I did! What make us do choices in life (with a fun experiment!) >> Irrational feelings more than rational facts. 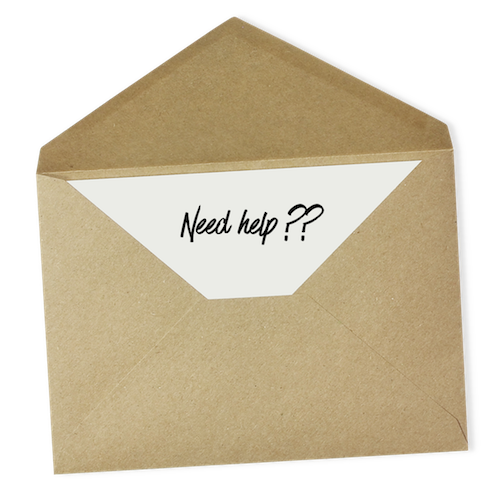 What is the biggest struggle Social Entrepreneurs faces (>> mindset!) 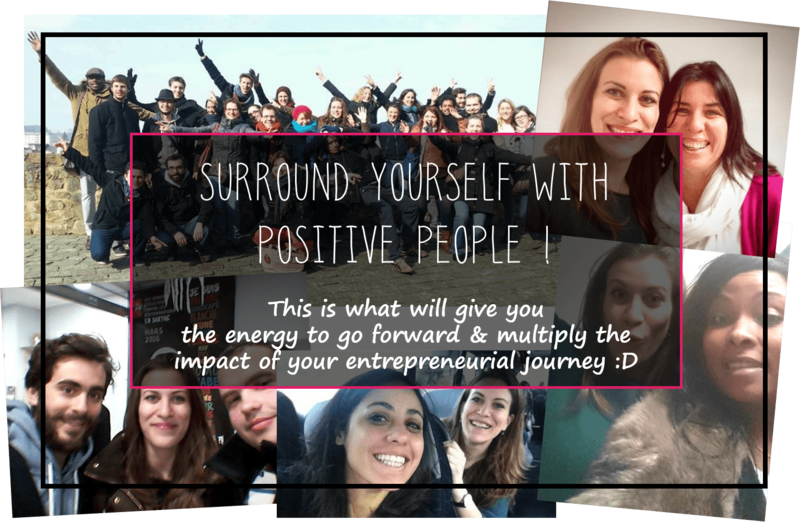 from my experience of consulting with 100+ social entrepreneurs over the last 1 year and a half. Why school was shaped to provide big amounts of workers to corporations (>> instead of helping us to find our own passion and shape our vision for the world!). As a result, why we are afraid to become entrepreneurs, even if we ALL CAN (>> especially since the Internet revolution). My entrepreneurial journey + what fears & obstacles I faced when getting started. Here are some of the feedback I got! This event was much more to me than giving a talk. It was a wonderful sharing experience! First of all, I got to hear the very inspiring talks from other speakers, about Discrimination, the Power of Diversity and Persistence for positive change. Second of all, it was a participative event! Far from the classic “speaker of one side/attendees on the other”. We all mixed up and collaborated in organizing inspiring workshop for the rest of the 2 days. I particularly loved the ones I joined on “taking care of yourself to change the world”, “the power of silence” and “Chinese foot reflexology”, all spontaneously offered and organized by participants. We toured the city together, partied together on Saturday night, eat delicious organic food, watched the super inspiring documentary En quête de Sens (and skyped with the director!! 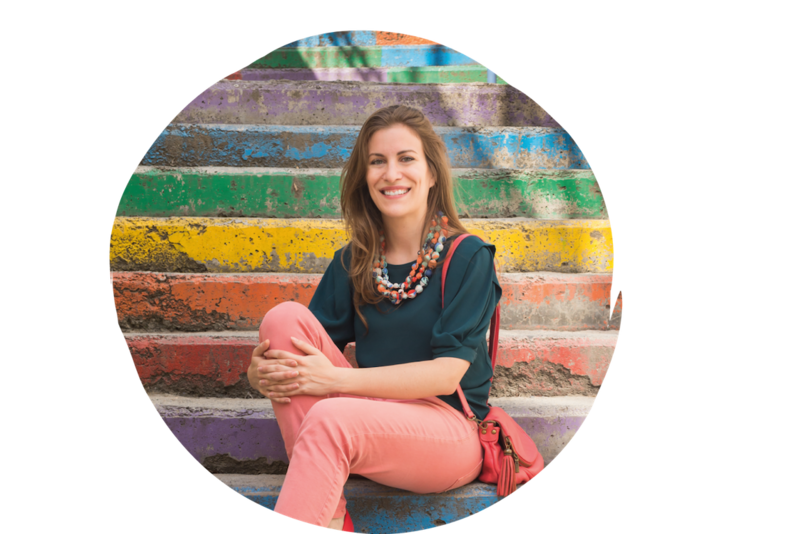 )… This was a human experience that really impacted my entrepreneurial journey. I am now not only hopeful we’ll change the world with social entrepreneurship. I am convinced we will. When you meet so many people from different backgrounds, different ages, different origins, ALL looking in the same direction and all willing to change the world for the better, then YES I cannot imagine a handful of heartless corporations (full of depressed employees) can win over us all! The revolution has started! Surround yourself with positive people! In any way you can, even in a small town! This is what will give you the energy to go forward & multiply the impact of your entrepreneurial journey. 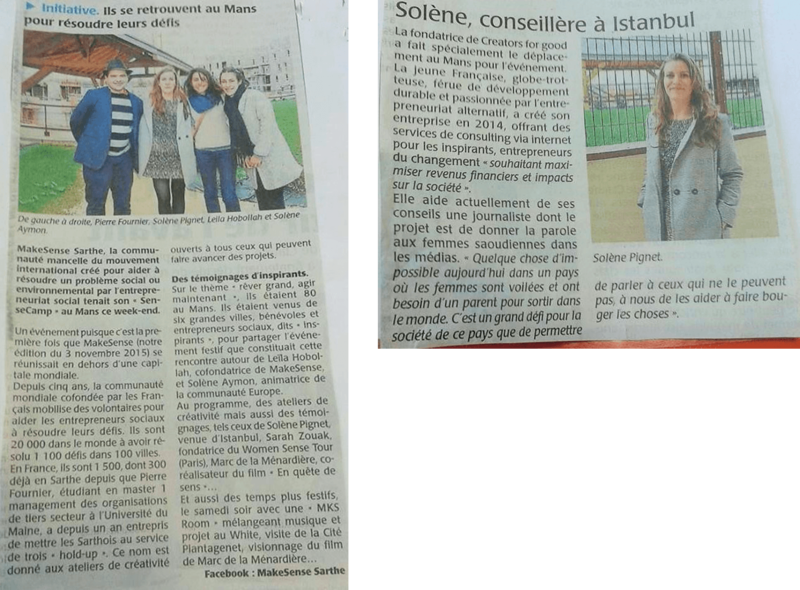 Few local journalist came to the event, including one from Le Maine Libre, distributed to 100 000 readers daily! 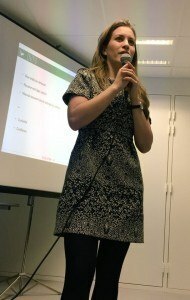 So, ready to join a SenseCamp? !